Did you enjoy that? I sure hope so! It’s a funny angle for Microsoft to be pitching their Windows Phone 7 handsets from, but it does sort of make sense, at least to me. I was just reading a speech by funny-man and self-confessed Twitter addict Greg Stekelman, on the narcissistic implications of Twitter, which was ironically thrown my way, via Twitter. It’s a wonderful read, which makes you think about how social media, Twitter in particular, is affecting our behaviour. Stekelman himself admits to tweeting on buses about being on buses, and being very much detached from the physical world. This, I think, is where the above advertisement’s message comes in. We all love attention, and we all crave it. It may be the main pull of social media, which is why we do things like Twitter, and tweet about how we’re, say, sipping tea at the foot of the Taj Mahal, or why we insist on putting up inordinate amounts of photos on Facebook of our holidays to Greece. We get it. Once you’ve seen one donkey, you’ve seen ’em all. Still, somewhere in this mad frenzy of social media production, we’ve forgotten about things like our families, our Tamagochis, and our dinner that’s burning to a crisp in the oven. That’s fine, though, because you can tweet about your dinner, and create a newfangled Facebook group in memory of how Skippy the Tamagochi filled up his digital cage with poop, and asphyxiated himself with his own faeces. Still, all that’s boring. Well, I’m sure it’s fine, really, but you can’t stop yourself from living your life because of it. Stekelman, in his speech, talks about pre-tweeting. The act of tweeting in one’s own head, when you’re unable to actually tweet. It’s something we’re all guilty of, myself included. Still, it’s this media pre-production that can make us do stupid things, and stop us enjoying what’s literally in front of us, though some odd desire to document an event you’re experiencing so your following can experience whatever it is vicariously, through you, whether or not they want to. Case in point. Last year, I went to see one of my favourite bands, Nine Inch Nails, on their farewell tour. Nine Inch Nails are great. I love them and their music a lot. Still, it seems to be that whenever I go to gigs these days, I always take a camera and snap away like a rabid tourist (when it’s allowed, of course) so I can upload these photos to Facebook, and prove to my friends that I attended a monumental show. In a way, this is good, because everyone who wasn’t able to attend the gig gets to experience it through my photographs, and they all think I’m very cool for sharing, and I get cool points, or whatever. The downside is that I have to experience the gig through the LCD screen on my camera, while I fiddle furiously with the manual settings to try and get a good shot of Trent Reznor’s beautiful face. All in all, documenting the gig in such a way had dampened my enjoyment somewhat. With this particular gig, it was weird. It was almost like I wasn’t experiencing it first-hand at all, but instead was experiencing a reproduction of the experience. It was a meta-experience. The result? Nine Inch Nails have now gone on hiatus, and I’m quite sad that I passed up the opportunity to go nuts in front of them, because of the prospect of digital props. Learn from my mistakes people. Don’t let social media rule your life. As I’ve said many times in this blog, social media is a fantastic, wonderful thing, and I’m not knocking it. However, when it starts impacting on your physical life to the degree where you stop enjoying physical things, you have to do something about it. Are we really narcissistic on Facebook? Earlier today, I noticed an article on Mashable concerning a small study that had been carried out by a Canadian undergraduate, investigating how men and women represent themselves in a narcissistic way on Facebook. It’s a good read (you can find it here) but I’ve got some major qualms with it, which I’d like to state here, for posterity’s sake. I’ve also got a problem with the way Mashable presented the findings in a very ‘matter of fact’ way, but I guess that’s the responsibility of good journalism. Regarding the paper itself, the author asserts that Facebook is a fully nonymous (not anonymous) social network, and builds her study on this rudimentary belief. I’m sure Facebook is nonymous in the majority of cases, but we’ve all seen examples of people failing to display true profile pictures, their real names, or even creating pages for fictional characters, providing a whole new angle for study concerning identity generation, and the possibility of narcissism within this new demographic. Indeed, within a wider context (this study was restricted to a sample of 100 college students, who’d surely be a perfect example of homophily in action, hence downplaying the significance of the author’s results), how could these new, ‘artificial’ identities could affect one’s narcissistic behaviours? I think people who make an attempt to hide their personal identity on Facebook, for instance, by posting ‘pseudo-pictures’ (images of fictional characters that act as avatars, possibly with some semblance to the physical identity of the user in question) are lacking in self-esteem in such a degree that they cling to the service, whether Facebook or otherwise. However, the findings of this paper state clearly that there’s a correlation between increasing Facebook use and narcissism. More on this later. 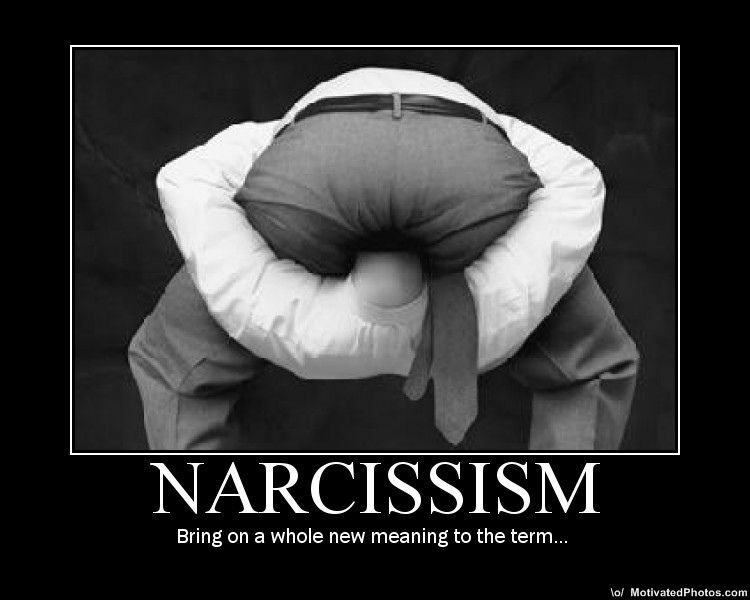 I also find fault with the author’s definition of narcissism, and narcissistic people. She’s somewhat damning in her exposition of narcissistic types (in saying they’re all nothing but complete narcissists), but somewhere along the line explains that some kinds of narcissistic behaviours could possibly be generated by internal cues. Hence, anyone could prove to elicit some slight form of narcissism. I don’t think the author’s definition of narcissism is that simple, doesn’t exist in such binary terms, and needs to be re-evaluated. I’ve already stated that the results in the above paper were somewhat inconclusive. My other problem with the results is that they make use of a multivariate coding system to designate Facebook profiles as narcissistic or not. The author does acknowledge at the end of the paper that her results may well be unreliable due to the objective nature of her coding method, but again, some of her definitions, to me, are problematic. For instance, apparently, all people who promote themselves through status updates are narcissistic. I refute this, out of self-experience. If you’re reading this update right now, there’s a good chance that you found it through my Facebook page. Being a poor student, I can hardly afford costly promotions (some, including myself, argue that the best promotion costs nothing) and rely on my Facebook status updates to promote new entries on my blog, which is all I really use status updates for these days. Am I a narcissist? I don’t think so. I just promote my blog because I know Facebook is a good way of informing my friends when I write something new. My final gripe is with the concluding assertion that narcissistic people spend more time on Facebook. Again, I spend a great deal of time using the service, as do others. An inordinate amount of time, some might say. However, I wouldn’t say I’m as narcissistic as much as I am a massive procrastinator and time-waster. How is it possible to condemn all prolific Facebook users with one fell swoop? I think this, again, is a sampling error, and a lack of concluding clarifications that the findings presented are only relevant within the context of the paper, that is, concerning students in higher education. Even so, not all students are one and the same, and I think drawing such conclusions is a little simplistic. All in all, I enjoyed reading the paper. It looks at something new, and is a good omen of things to come from (what I imagine is) an undergraduate’s first publication. Still, I think it falls down in its initial definitions of narcissism as a digital behaviour (it’s only on or off, as well as existing in the online sphere). It does hold some interesting questions for further research, though. The paper tries to take a classically offline behaviour and relate it to online processes, which it acknowledges at the outset. I think this is wrong. It’s a good starting work, but I feel there’s so much more potential out there, to build and research new, more novel models about how we exist online. Are we narcissistic on Facebook? Perhaps. Is Facebook conducive to inspiring narcissistic behaviour? That, I think, is the question we should be asking ourselves. As I tweeted yesterday, it’s a very humbling and satisfying feeling, teaching your Web 2.0 illiterate dad to use Facebook. I’d call it research for #sotonsms, which is very soon to be making waves. Being born into web culture, I can’t even begin to imagine how it must feel, being introduced to this extension of the physical world, that effectively brings it all closer together. There must be a considerable shock factor in discovering that your niece, or nephew, can take a picture of their newborn child on their BlackBerry, and have it delivered to your eyes, half-way around the world, in a matter of seconds. I don’t feel it, sadly. I grew up alongside the Web, and the Web grew up alongside me. Sentimental notions of nostalgia aside, it was quite refreshing to see how social media can be used as an energising force, an untapped resource for some, which holds the key for richer expansion of physical social networks. To most of us, this doesn’t sound like much, but I’m not talking about you. I’m talking about all of those who haven’t the faintest clue what social media is, or what it does. Call them what you like; digital immigrants, massive passives. Those who I’d go as far as to say they are actually fearful of technology, when actually, with some gentle poking in the right direction, they can start to see how social media is worthy of being classed as a new friend. I’d imagine the realisation is like a switch flicking. One minute, Australia seemed ever so far away. Once the vast and mysterious land visited once or twice on holiday. The occasional phone call, or wad of pictures through the letterbox is as far as your knowledge goes, with regards to the day-to-day lives of your family in Oz. All of a sudden, you know what your dearest relation across the pond is eating for dinner, at that very moment. Australia is literally on your doorstep, all of a sudden. For that to happen… Well, I’d say my dad’s lucky his head didn’t explode. I doubt my dad will ever become a social media maverick, like me or you, say, but I certainly hope that he continues to want to explore this new world, and all its wonderful benefits. Yesterday, I talked my dad through leaving comments on Facebook profiles, and even taught him how to snap a snazzy new profile picture, using our webcam. For anyone in the business of training digital passives in using social media, it can get a bit tedious. Left click this button, scroll down, left click that, highlight that (left click then drag the cursor), right click, click Copy (left click), right click, then left click Paste. Even reading it back, it sounds terribly tedious, but it’s something that a lot of us take for granted. We don’t even think about how computers work; we just use them, whereas for some, it must be like learning to see again. It’s a monumental task, but I’m sure there’s hope for my dad. There was a point yesterday when my dad discovered the baby pictures of the sister of an ex co-worker of his, who has since moved to Poland. They were quite close. The minute those pictures hit the screen, my dad began cooing. His face lit up, and for a moment, I became infinitely more interested in watching his reactions, than watching what was on screen. It almost brought a tear to my eye. There’s certainly something humbling about teaching the Web to the man who brought you up, and taught you the ways of the world. In some ways, I’m sort of returning the favour, by helping him find his feet in the digital world. That’s what I’d like to think, anyway. I’m sure many of you are aware of Facebook’s ‘new’ privacy settings (take note of the inverted commas) that were rolled-out a couple of days ago. Facebook, understandably, was in a very compromising position back then, holding secret meetings, while Mark Zuckerberg, founder and CEO, made something of an effort to appear in photographs, sweating profusely and looking quite unhinged, wherever possible. Whether he’s genuinely going insane, or this is just a display to show that he genuinely cares about the privacy of his users, is subject to debate. So, what do the ‘new’ settings actually do? Not much, to be honest. They seem to be more of a clarification of Facebook’s existing settings, this time with the addition of ‘recommended’ settings for those who don’t have the time to safeguard their privacy online. Shame on you. More alarmingly, from a PR standpoint, the page neglects some key messages that Facebook should be placing front and centre. The admission that Facebook doesn’t share profile data with advertisers isn’t exactly comforting (instead Facebook are assuming the role of would-be advertising arbiters, which is just as bad) but is something that they need to definitely shout about more. Copywriters and content strategists everywhere are simultaneously spontaneously combusting, I’m sure. Also, their bit about protecting minors that is squashed in at the bottom of the page? Please. Shiny, right? This should make modifying privacy settings as easy as cake! I don’t really think this ‘major rehaul’ counts for much. Unless you’re going for the ‘recommended’ settings (which you shouldn’t), everything is exactly as it was before, only tarted up with a fancy new page which lets you access different groups of privacy settings. 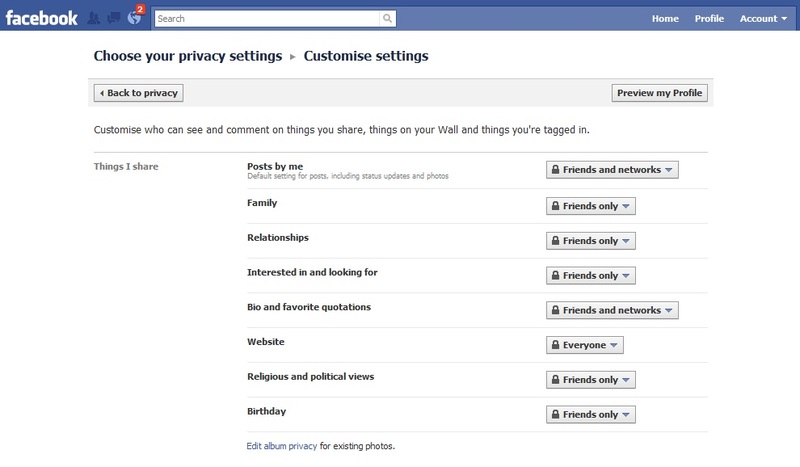 Facebook, and Zuckerberg said earlier on this week that they wanted to make customising settings as easy as possible. Sure, they let you clearly see what settings you’re currently using, but changing them is a completely different matter. I thought the page that’s depicted on Facebook’s new ‘privacy guide’ would be clickable, letting you change your settings then and there. This would have been intuitive. Instead, if you do want to modify anything, you’re led to Facebook’s old, unfriendly page of drop-down boxes. To be honest, I’m disappointed. I expected more, even from Facebook. WRONG! Good one, Facebook! You almost tricked us there. Whether people agree with, or like the ‘new’ settings remains to be seen. Quit Facebook Day is still going ahead. However, I think that Facebook have missed a chance to address a key problem: decentralisation. Decentralisation is a good, nay, a wonderful thing in most cases. With the proliferation of Facebook mania, with things such as Facebook Connect, which has lead to users creating content independent to Facebook, under their Facebook identity, which Facebook themselves have no control over. The implications of this have yet to be seen, but it is worrying knowing that Facebook have masterminded such a scheme to get people to share online (a very good thing) while implying, through association, protection over these new content streams (not a good thing). Am I suggesting that Facebook further police all content produced by its users? Hell no. It just needs to be a lot clearer about its jurisdiction in these matters. All that’s left is to wait and see what happens. 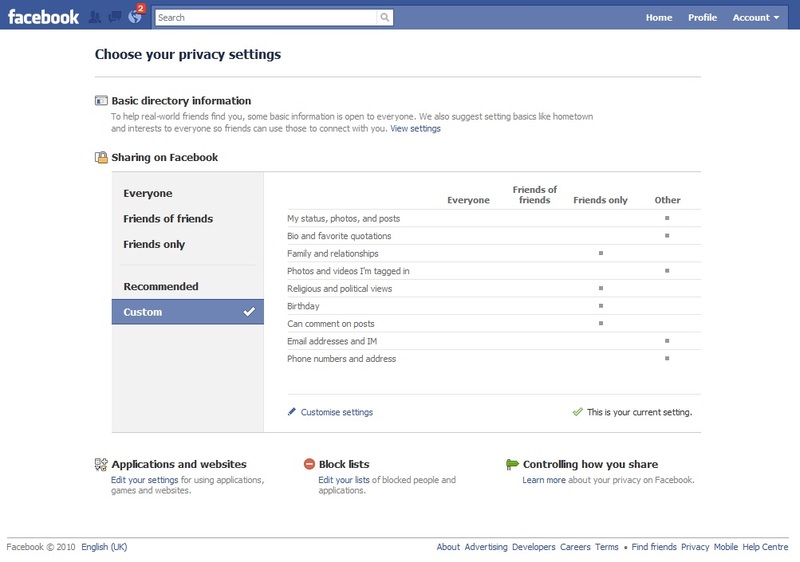 What do you think of the ‘new’ privacy settings? Do leave a comment and let me know! I’ve just been on BBC Radio Solent, speaking to the lovely Steve Harris about my views on Facebook and privacy. If you’ve been keeping up-to-date, you’ll know that Facebook have been having something of a hard time, recently, what with Quit Facebook Day fast approaching. They’re set to announce new, simpler privacy settings this evening, and I’ll be keeping my ears open. I think Facebook have certainly been abusing their position as a makeshift Information Commissioner, for those familiar with the Data Protection Act. Something that I think has flown completely under the radar, however, is Facebook’s radical redesign of its users’ ‘Information’ pages; a former space where you could write to your heart’s content about what you’re interested in, in whatever format you desired. All this changed a few, short weeks ago, when Facebook essentially catalogued each one of these ‘interests’ as fan pages. Essentially, you can no longer like anything without ‘Liking’ it. I think this is bad for two reasons. Firstly, it removes any notion of individualism from the site, as users are now defined by the connections that tether them to a predetermined set of interests. Confusing, right? For example, say I like The Beatles. I don’t think this would define me absolutely, as there are many types of Beatles fans. This is obvious. I could, say, insist that I like their ‘A Hard Day’s Night’, but not their later psychedelic ‘Sgt. Pepper’s Lonely Hearts Club Band’. That little difference is what defines me as a certain type of Beatles fan. It’s what signifies me as myself. Under Facebook’s new information regime, I wouldn’t be able to just type that in the ‘Music’ section of my Facebook profile. I’d only be able to include that I’m a fan of The Beatles, which doesn’t really say anything about me at all. It’s these differences in opinion, expression, and even syntax that define me as a person. Instead, I’m now forced to live my life as an all-encompassing Beatles fan. I’m forced into a convenient pigeonhole, where I define myself through a predetermined list of interests. The network has lost its dynamicism, which is a very sad thing. 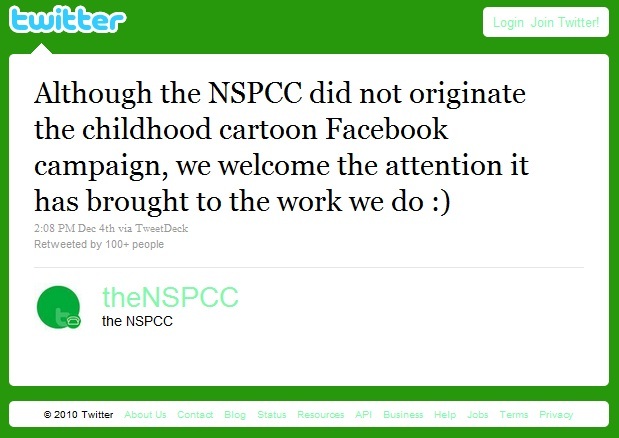 Why have Facebook done such a thing, then? To move on to my second point, to further exploit us as commodities to advertisers. Thanks to this new hierarchy, Facebook now (potentially) can map out advertising reach a lot easier, by saying to advertisers, ‘Look, we’ve got X number of Beatles fans that you can advertise to!’ The new system will clearly make number crunching a whole lot easier to sell us, and our information, which some of us are unwittingly giving away. My main gripe is that Facebook has lost its focus. When I first discovered the social network back in 2006, I was attracted to its simplicity and uniform layout, as opposed to MySpace. When Applications arrived, I balked. Slowly, Facebook has turned its users into commodities, which we can see clearly now, and we’re very, very angry. 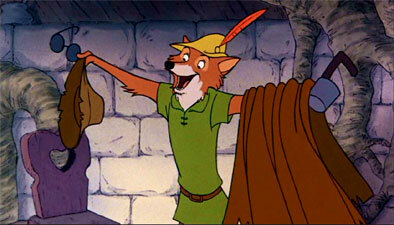 I’m very eager to find out what Mark Zuckerberg comes out with this evening. I’ll be listening intently, probably along with the rest of the world.